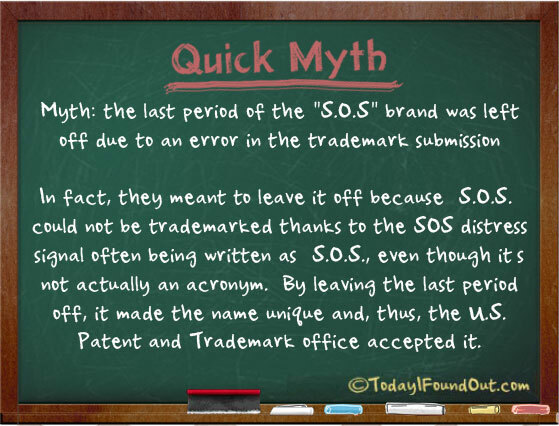 Myth: the last period of the “S.O.S” brand was left off due to an error in the trademark submission. In fact, they meant to leave it off because “S.O.S.” could not be trademarked thanks to the SOS distress signal often being written as “S.O.S.”, even though it’s not actually an acronym. By leaving the last period off, it made the name unique and, thus, the U.S. Patent and Trademark office accepted it.